The Fotofacial® procedure is a non-invasive, IPL light-based skin rejuvenation treatment that corrects the appearance of the skin by improving texture, tone, and color. Fotofacial® can be performed on the face, arms and chest to break up pigment so the body can more easily remove it through exfoliation. Small capillaries can be heated to the point of coagulation and then absorbed by the natural cleansing system of the body. Imagine your skin before all those hours in the sun! Fotofacial® can turn back the clock and effectively correct common skin-related concerns with minimal discomfort and no post-treatment downtime. Although Fotofacial® is a non-invasive treatment, it is still important to select a skillful, experienced Plastic Surgeon such as Dr. Lisa Bunin, M.D. to perform this procedure to ensure optimal results. Fotofacial® is perhaps the only skin treatment available that actually reduces the appearance of pores. The intense pulsed light-based Fotofacial® treatment penetrates into the skin without damaging the outermost skin layer, and stimulates collagen production around the pore to minimize the pore’s appearance. The Fotofacial® treatment can typically be completed in less than 30 minutes. You may experience some temporary redness, which should abate within several hours and can easily be concealed with makeup. Over the next 7-10 days, brown spots tend to darken and flake off the skin (similar to what you might experience after a mild sunburn). The average Fotofacial® treatment protocol consists of 4-5 sessions spaced at 3-week intervals. For patients seeking a more comprehensive facial rejuvenation, the Fotofacial® treatment can safely be performed in conjunction with other minimally invasive cosmetic services (i.e., Botox® Cosmetic, Facial Fillers, and chemical peels) to amplify and extend the results. The Fotofacial® procedure does not require any downtime; however, you may have a little bit of redness after your treatment(s). This is usually gone within a day, and you can cover it with makeup, if necessary. You may also experience some temporary swelling around the eyes. If your skin is sensitive, you could have some minor crusting of the skin where it was treated. Bear in mind that freckles and dark spots may get a bit darker before they lighten, so don’t be alarmed. You should avoid sun exposure and use an SPF sunscreen for at least a couple of weeks before and after treatment. Dr. Lisa Bunin’s Athena Med Spa located in Allentown, PA, offers the newest in non-surgical techniques for skin care and rejuvenation. To see all of the services offered at Athena Med Spa click here+. 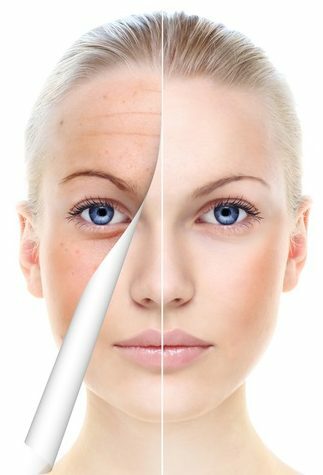 For more information about the Fotofacial® procedure or to schedule an appointment please call (610) 435-5333.